In 2017, I decided to join Barclays Partner Finance, based on the outskirts of Cardiff. Joining in May, my introduction to BPF was particularly warm: great weather, a lunch with new colleagues and a good amount of IT-related humour all helped me quickly feel at ease. Once I had got my bearings, I was invited to get involved in attending various conferences, with great social and professional networking opportunities with senior staff both within BPF and the wider Barclays business. Novel Agile ways of working provide multiple opportunities to develop and grow across several disciplines. My friendly, helpful and experienced colleagues, the opportunity to help the community through volunteering and the many software product development projects are some of the elements that really make every day different, interesting and sociable. Furthermore, there is a great importance placed on striking the right balance of work and personal life, with flexibility around working hours, helping avoid any possibility of burnout or stress. In software engineering, I find there are times where I really need some quiet for challenging work, where I prefer to work from home. This is accommodated for and easy to arrange although I do prefer to be in the office to take advantage of the many social networking opportunities. I’m thoroughly enjoying being part of the Barclays team! 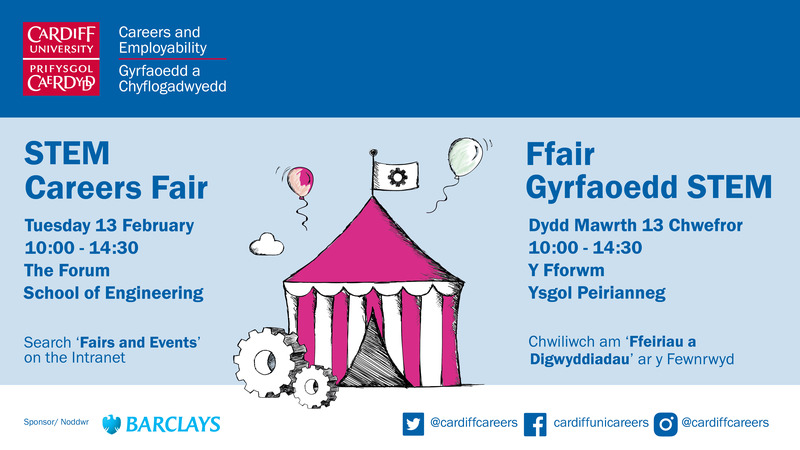 You can meet Barclays Partner Finance at the STEM Careers Fair on Tuesday 13th February from 10:00 – 14:30 in the ENGIN Forum, School of Engineering. This event, organised by Careers & Employability is designed to help you to meet employers and find out about the range of STEM jobs, summer placements, internships, and postgraduate study and time-out opportunities available to you after graduation. The Spring STEM Fair is aimed at Engineering (ACE, EEE, MMM), Computer Science, Physics and Astrology and Mathematics students. Click *going* on our Facebook event to receive all the latest news, updates and for a full list of the exhibitors attending! We’d also be grateful if you can share this information by retweeting or sharing with your fellow students who may find this useful – you can do this by using the share buttons or via Twitter and Facebook.